Starting from 7th of September, Swiss is starting to experiment with the concept of allowing passengers to upgrade to a gourmet meal onboard a Swiss-operated flight. When I saw this, I was thinking that Swiss is actually offering a ‘book-the-cook’ version in Economy class though it was not that spectacular. From the updated website to include particulars of this service, passengers can choose from a total of 6 different “a la carte dining” meals on most long-haul flights departing out of Geneva and Zurich in Economy class. These meals can be booked in advance as long as it is 24 hours prior to the departure of your flight. In addition, a small bottle (375ml) of red or white wine can be added to this meal purchase, though it cannot be ordered on its own. Swiss Cold Cuts a-la-carte meal. Photo from Swiss International Airlines’ website. Appetizer of potato salad and Pommery mustard, the main serving of cold cuts, cheese and bread with mixed pickles and a dessert of carrot cake. This meal seems the most enticing, for me at least, starting it from a bento of prawn and tuna nigiri, salmon and California roll, with soba noodles. A main serving of chicken teriyaki with Japanese rice, and pickled vegetables comes next while dessert is dorayaki with Azuki. Finally, the last option starts with quinoa with avocado and almonds, lamb’s lettuce and egg with French dressing. The main course is grilled salmon with curried coconut and lime sauce, rice and leaf spinach, selection of breads and butter. Ending the meal is a Chia seed dessert with blueberry compote and chopped cashew nuts. The wine choices that could be added to the “a la carte meal dining” is between a Simi Winery Sonoma County Chardonnay for CHF18, or a Brancaia Radda in Chianti Sangiovese for CHF18. Swiss does not allow passengers who order these meals to mix-and-match and the descriptions of the meal sounds like a good Business class meal. So, in essence, the additional cost of CHF29-49 goes to allow guests the luxury of the meal but not the seat. At these prices, I do not see the stock for the meals running out anytime soon even with the limited stock that Swiss mentions for each flight. The prices are very similar for what passengers pay for a good meal in a Swiss restaurant, and I wonder how good they could be in the air. 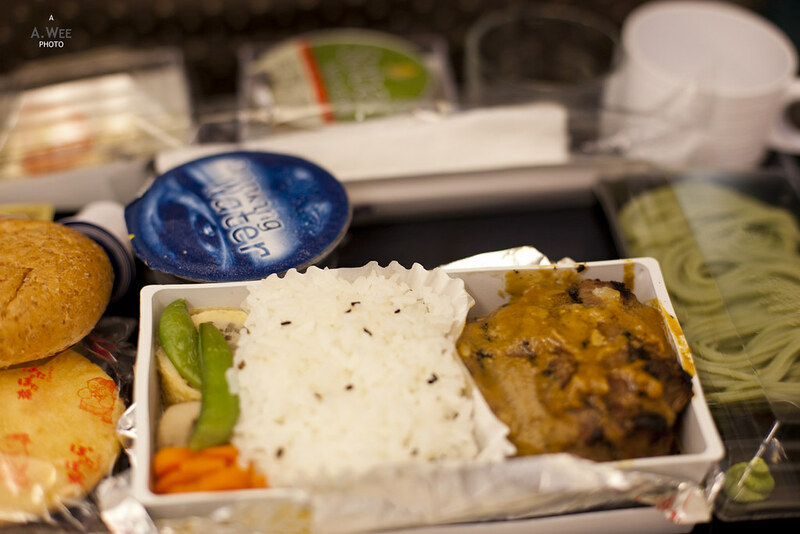 Furthermore, by ordering these meals, Economy class passengers would get them on the first meal serving after departure and this meal replaces the standard meal served. That means passengers paying extra for the meal forfeits their usual share in the first meal, and the second meal served is the standard fare. There is also that awkwardness when your seat-mate receives their Economy class standard portion and lusts after yours. I can even see some passengers asking the cabin crew on the variations in meal serving? 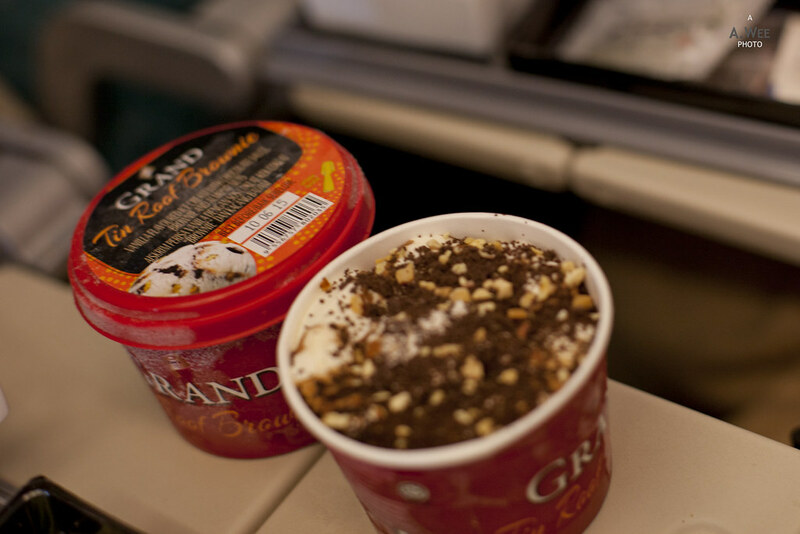 If I was travelling on Swiss in Economy, I would probably try one of them to see if the food is any good. After all, CHF29-49 is not a large price considering most Economy class long-haul tickets goes for around CHF400-600 return. Though this scenario really could highlight the way forward in premium airlines nickel-and-diming passengers to pay more for ancillary services like nicer meals. Considering Singapore Airlines served me soba with a rice platter and ice-cream on Economy class from Singapore to Tokyo without any extra meal charges, could those days be over for Economy class travels?